Yesterday, I spent a pleasurable half hour revisiting and photographing two places of worship in the beautiful valley of the Rhiangoll brook, a tributary of the river Usk. 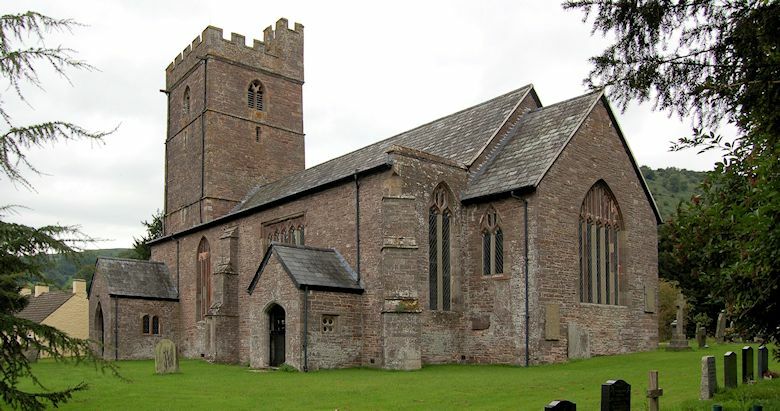 The first photographic subject was the parish church, St Michael’s, which I had first visited back in 1998 when taking photographs for a friend in the USA. Although I made several subsequent visits, the last time was 13 years ago! It is difficult to get a clear shot of the church because it is partially obscured by large trees. 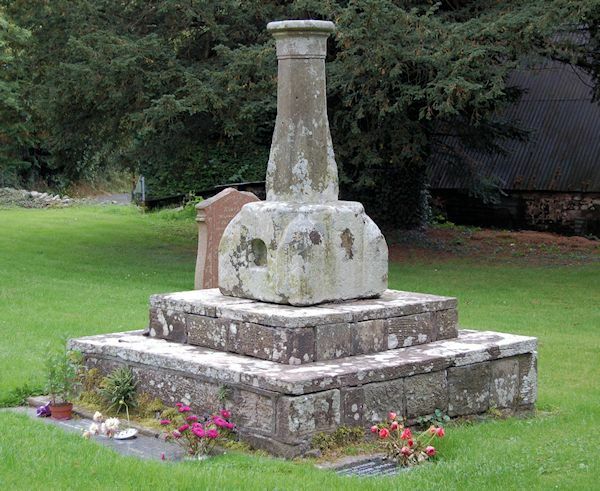 The shot below, taken from the south-eastern corner of the churchyard, is probably the most successful. 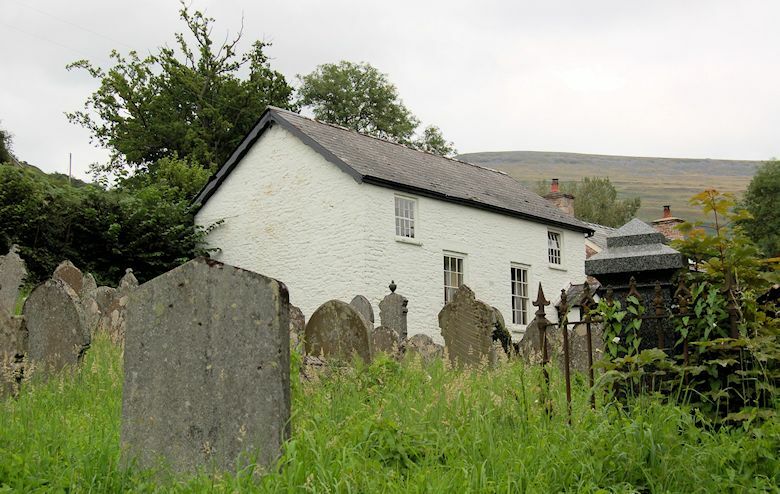 After wandering round the churchyard and photographing a number of interesting old tombstones, I returned to the car and drove onwards seeking an old nonconformist chapel at Cwmrhos, situated along a narrow lane halfway up the eastern side of the valley. I recalled noticing the chapel years ago in rather poor evening light, unsuitable for photography. Sadly, yesterday’s weather was only marginally better, and my only acceptable shot of Penuel Independent Chapel was from the chapel graveyard (below). The chapel appeared yesterday to be occupied, so I wonder whether, like many old chapels, it has been converted into a private residence. The most disappointing aspect of yesterday’s trip was that St Michael’s Church was closed. I must have visited the church at least five times over the years, and have yet to gain access to the interior. Nor is it listed among the churches, chapels, and other historic buildings to open its doors to the public during the forthcoming Open Doors week – see: http://www.civictrustwales.org/opendoors13/English/powys.html It is difficult to understand why access to some churches is restricted for security reasons, while others have managed to retain an ‘open doors’ policy. 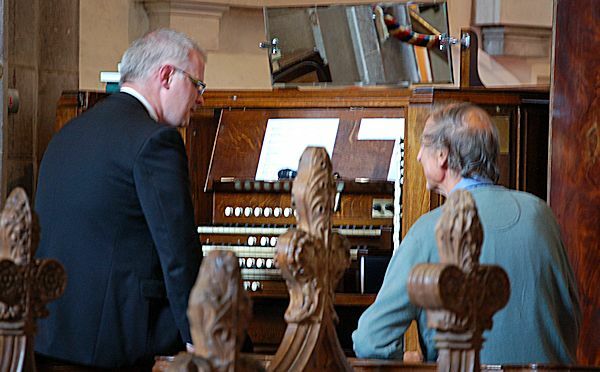 During the summer months, lunchtime recitals are held every Monday in Brecon Cathedral. Today’s recital, by organist Cameron Luke, Director of Music at All Saints Church, Cheltenham, followed the theme of cats and dogs. We enjoyed the music, which lasted about 50 minutes. In particular, I wanted some shots of the recently installed crucifix suspended above the transept. 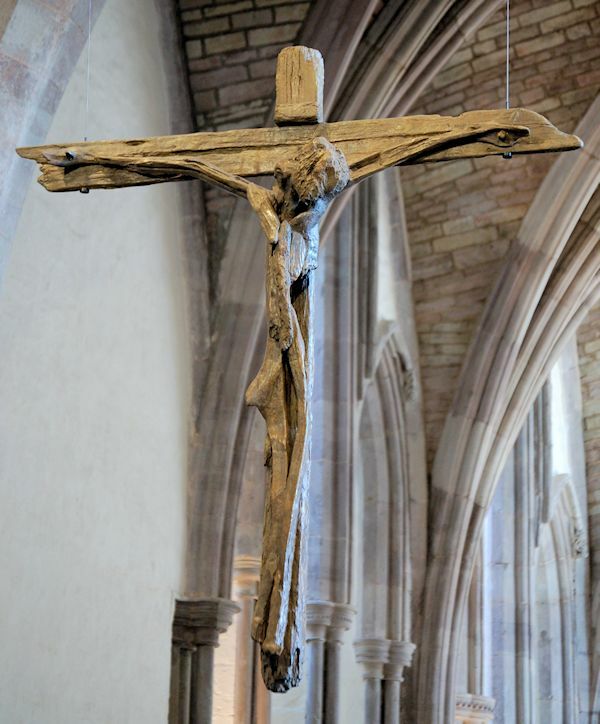 The crucifix was sculpted in bronze by South Wales artist Helen Sinclair. Weighing 90 kg it was cast from driftwood found on Rhossili beach on Gower Peninsula. 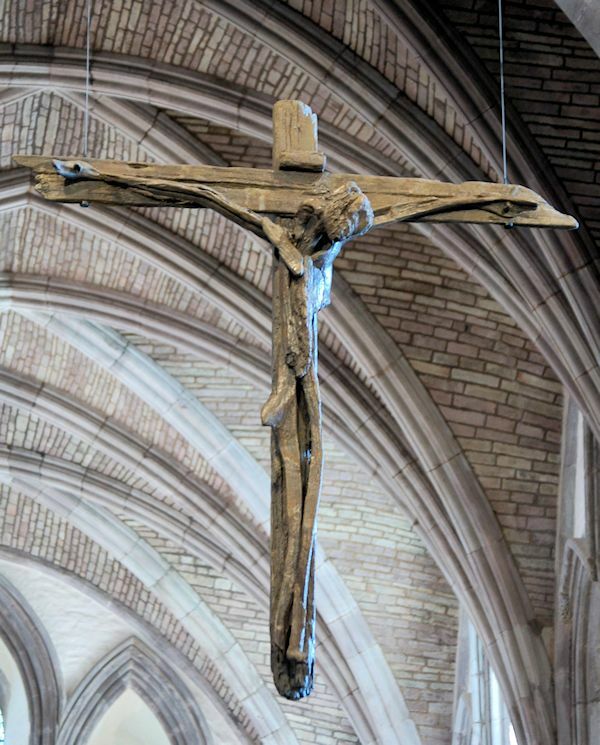 The crucifix hangs above where the rood screen once stood, before it was destroyed in 1538 by Henry VIII. A gold crucifix hung from the original rood screen, and was touched by pilgrims as they prayed for healing. Hello Everyone. 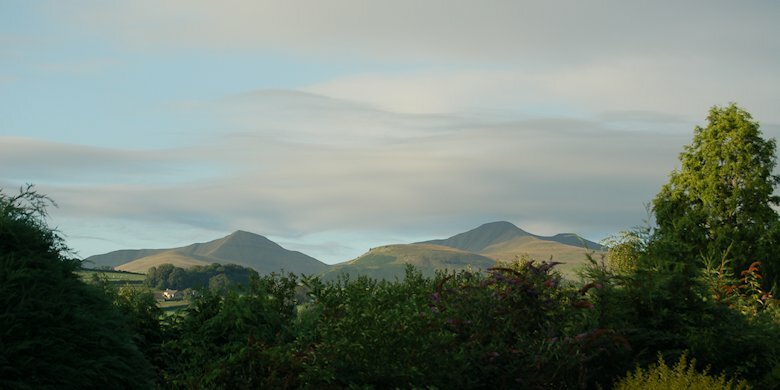 This is my first post on my new blog from Brecon in the most beautiful part of Wales. I’ll be adding proper posts once I get into the swing of things.